Creating an environment in which you are working out at home will set a routine in your child’s mind that this is time for mommy to focus on this task. It will encourage the child to give mom that time to do their workout or the child may even want to participate! It is setting a great example of health and showing it is important to be strong. 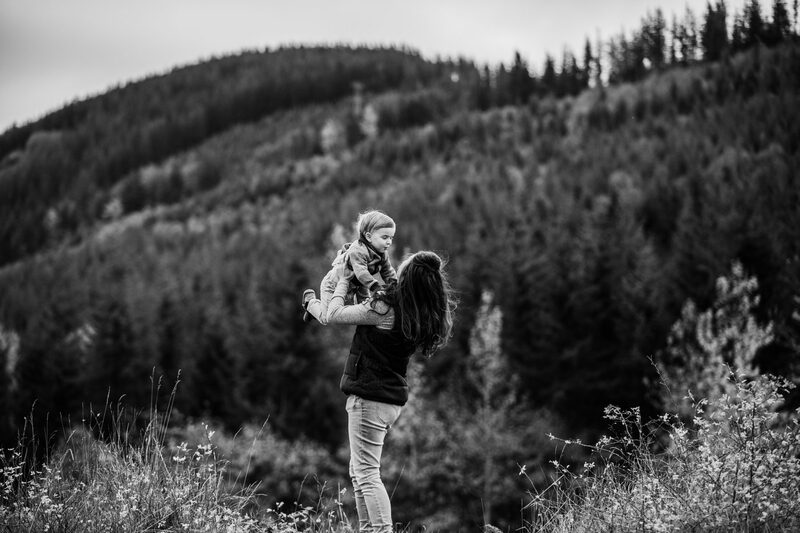 Being strong helps one finish harder tasks, gives more energy to keep up with the day, and creates more flexibility to prevent injuries as a mother who must keep up with their young child/children. It is encouraging children to be active. The more active children are the healthier they will become. Children will want to participate in other activities and not have a languid manner due to the example set from a very early age. It will show dedication to something that is hard and not always fun. The more a mother pushes forward with their fitness, the more their child will see that is takes time and effort to become better. There is no quick fix or instant gratification. It is hard work that makes one feel proud. It creates a positive and healthy self-image. Children will see a strong and committed mother who loves their body and how it feels to them. Society may cause children to question their self imagine, however as the mother shows they care about their own well being and their own personal or unique physical attributes, children can push out those negative voices. Fitness not only creates physically accountability, it will also encourage healthy eating habits. In a perfect world, a mother would want her children to eat healthy foods. Finding what a child likes is key to helping them have a balance diet. Mothers can only hope that their example can help their children create healthy choices. Only way to find out is to start now. Go for a walk. Dance around the house. Find a workout program that is enjoyable and do it with the children. A mother also needs to find time for herself in order to feel balance. Have you started your fitness journey? Contact me at kristinadstone @ gmail . com.